Scott Laboratory Solutions offers the best quality laboratory cabinet design and fabrication. We will work with you to understand your laboratory cabinet needs and requirements, making sure to address all aspects of proper space utilization and achieve maximum functionality. We work with high grade materials which hold up to the most rigorous of usages. Scott Labs believes that no space should be wasted. We can offer suggestions to help you decide on the layout of your laboratory cabinets, whether it be a small science lab in a school or a large manufacturing chemical lab. 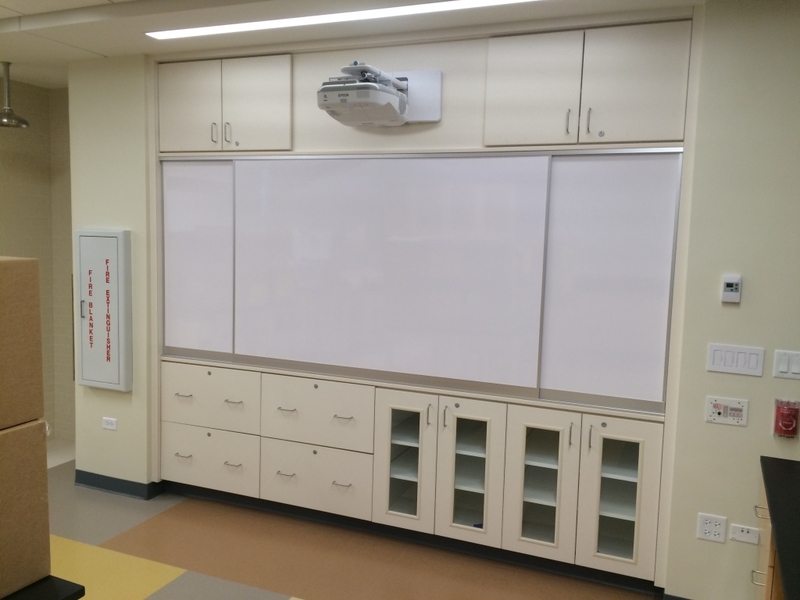 We have the resources available to facilitate a successful laboratory cabinet installation. Contact us today to get in touch with a laboratory cabinet representative in your area. We’re confident that you will not be disappointed with our exceptional level of service and attention to detail. From stainless steel to composite materials, we offer many different solutions for custom laboratory cabinets. We often use sterile materials as well as easy to clean surfaces to allow for quick cleanup. Contact us today to learn more about how we can better your laboratory.